THE YARD is a state of the art baseball and softball training facility for players of all ages and levels. THE YARD is the Home Training Center of the New England Huskies AAU Baseball Program, the Husky Elite Travel Program, and the Husky Elite High School Showcase Programs. THE YARD provides professional private instruction in all facets of the game to players at every level. Our staff consists of all ex-ballplayers that have a passion for teaching the game and passing on the knowledge that they have gained throughout their baseball careers. 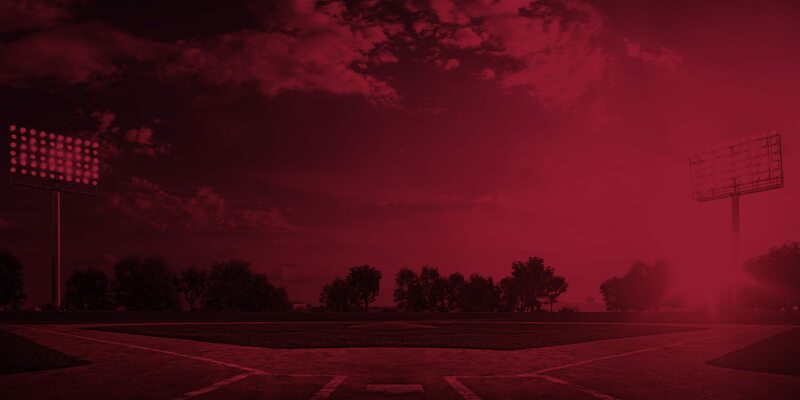 All of our instructors have baseball back-round’s that include at-least 4 years of collegiate baseball experience, and most of which that have professional experience as well. The New England Huskies AAU, Elite Travel, and High School Showcase Baseball Teams are devoted to the development of the individual player, but doing so in a team setting. Husky Teams train throughout the winter leading up to the season opener, from January through April. Teams will practice at-least twice a week, have speed and agility training along with strength and conditioning training as well. Players in the program receive professional training from their coaches and the instructor staff at the Huskies home facility ‘THE YARD’, the South Shore’s Premier Training Center. Players are outfitted from head to toe in Team Game and Practice Gear, and receive discounted membership prices on camps, clinics, private lessons, and items in the pro-shop. Husky Players receive High School and College Recruitment advice and representation from their coaches and the staff at The Yard, who have actually been through the process themselves. The Huskies Program does not employ “parent” coaches for their teams, as this is not town or recreational baseball. Coaches of any Huskies’ Team have actually played 4 years of collegiate baseball at the very least, and most have also played professionally at some level. Husky players and coaches are held to a higher standard, and they are expected to act as such at all times. "Mike has been working with my 15 year old son for the last year. I can't tell you how many parents and coaches have come to me to compliment on his significant improvement in pitching, mound presence, as well as overall baseball IQ. Working with Mike on a regular basis has also helped his confidence tremendously!" "Playing for the Huskies is fun and it's a cool team to be on. The coaches are nice and supportive and I have learned a lot since joining the team." "Coach Mike, thank you so much for giving me hitting and pitching lessons. They helped me a lot in baseball this year. Now I am finally hitting the baseball a lot better than I was before. Also, the pitching lessons made me throw more accurate and faster. Thank you!!!!!" "Thank you for making me a better baseball player. When I joined the Huskies a year ago, I didn't have a lot experience or confidence. Coach Mike and the Huskies helped build my confidence by giving me strategies for hitting, fielding, and pitching. Coach Mike showed me that practice, dedication, and hard work pay off. I improved so much." "I like going to The Yard because they make the skills fun with different drills and games. The coaches take the time to really teach me too." "I like being a Husky because we have fun and we play really good teams. We get to practice in the winter too to keep up with our skills". "Mike's training is second to none. His passion, knowledge, and love of baseball comes through in everything he does and it is infectious. Mike has a keen eye for baseball mechanics and always goes above and beyond to help kids make the corrections. As a result, Tyler has improved significantly in all aspects of the game, and he's had so much fun doing it! What also sets Mike apart from others is his emphasis on personal responsibility and team work, which will help the boys develop in to young men and prepare them for higher levels of play. We are proud to be a Husky Family.!" "Mike Ryan and the staff at the Huskies is professional and the baseball training is top notch. They have coached our boys not only in baseball skills, but in being prepared, responsible, being part of a team, and to challenge themselves each time they take the field or practice turf." "Joining the Huskies Baseball Program with Coach Mike has been the best decision my wife and I have made for our 11 year old son Cameron. The coaching of the fundamentals and the attention to detail at "The Yard" are second to none, especially the one on one training Cameron gets year round. We are so pleased we made this decision and can't wait till next season." "My son has been taking private hitting lessons at THE YARD with Mike Ryan over the last two years. Mike has a unique ability to break down a swing and not only instruct my son on how to correct his mechanics, but he also communicates the rationale on why and how the adjustments will be effective. Mike takes his instruction even further with drills to work on independently in the cage and specific functional exercises to work on in the gym. The results that we have seen will keep us coming back!" "The passion and dedication that Mike Ryan and his Huskies' staff have shown for teaching kids the game of Baseball is exceptional. The attention and detail they give to mechanics is spot on. Our son's confidence and knowledge of the game has grown immensely. His hitting, fielding, and pitching have improved more than we had expected. Most important of all, the smile that our son has when going to and from Baseball says it all, he is learning and having fun at the same time." "THE YARD is an awesome place to have a Birthday Party. My son has had his Birthday Party at THE YARD for the past two years because he loves it so much. Coach Mike is great with all of the kids and they have a blast playing whiffle-ball and participating in baseball skills competitions. Being able to customize the party makes it special and memorable each year." "We researched several AAU programs over the years, and took part in two programs before following Coach Mike Ryan to the Huskies. After two years under Coach Ryan's instruction, our son has grown as an individual and as a player. We have been fortunate enough to be invited in to the Huskies Family twice now and continue to take advantage of the facilities' programs throughout the year. The New England Huskies are an easy choice for player development." "The baseball facilities at The Yard are the best we've seen on the South Shore. The new large cages and turf allow for individual and team activities without any space limitations. The kids love being there... The professional instruction and training sessions are excellent..!" "The training facility at 'THE YARD' has welcomed our son in to an area of baseball where he feels comfortable to continue to work on his baseball skills in an environment that is fun for him as well. The owner, staff, and coaches are all very experienced and are fully equipped to train the next generation of baseball players. The New England Huskies LOVE their baseball players and it shows. Thank you!" "Mikes training is second to none. He has been training our boys for almost 5 years now. He works them hard and prepares them to be able to make the play in any given baseball situation. He is dedicated to helping these boys become successful and confident players that can compete at any level." "I was training with another AAU team and that was the first time I saw Coach Ryan. When I saw Coach training the older kids I told my dad that I wanted to train with him because he just had a presence. This is my second year as a Huskies player and I train hard with Coach to make sure I can continue to be a part of the team." "We are very proud to be part of the Huskies baseball program. Our son has grown more confident and has learned the important fundamentals to become the best player he can be. The coaches and staff are patient and work hard to keep the game of baseball fun but still provide the structure so that the player can progress successfully. We are so happy we have joined this program.! The Huskies Program has kept William's love for baseball going strong and we could not be happier. Go Huskies!" Gift certificates are available for purchase through the office. Gift Certificates can be used for: private lessons, private lesson bundles, cage Rental time, program fees, glove repair, and all pro-shop items- apparel, footwear, equipment, etc.